Bring your group to Beaver Brook Association and experience nature firsthand. We have meeting rooms and classroom space to accommodate groups from small to large. We can provide customized environmental programs to enhance your day’s event. Come out and discover nature in our beautiful relaxing setting! The mission of Beaver Brook Association (BBA) is to promote the understanding of interrelationships in the natural world and to encourage conservation of natural resources through education and stewardship. BBA encompasses 2,187acres of land, 35 miles of trails, gardens and has meeting rooms, classrooms, and camping facilities. We offer the use of our meeting rooms and facilities by non-profit groups, businesses, and civic organizations. In keeping with our mission of natural resource education, our facility usage policy requires your meeting or event include an environmental educational component. 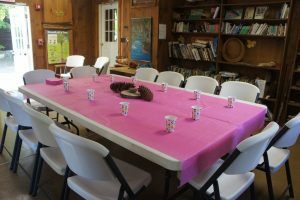 This can be anything from a guided hike, a garden tour, a team building event or simply a presentation by our BBA staff. We work with you to arrange a custom tailored program. A 10 minute walk from our Brown Lane parking lot is all that it takes to feel like you’re in the middle of the wilderness. Two rustic bunkhouses, which sleep a total of 22 people, and a cookhouse with a propane stove are nestled among the tall pines near an active beaver pond. With wood stoves in each of the buildings, the campsite is used year round by scout troops and other organized groups who might want to hone their camping skills. A fire pit, portable toilet and wood are provided. No access to drinking water. The Maple Hill Barn is a restored historic barn with plenty of open spaces for groups of up to 45 people. It also has a small kitchen and restrooms. The facility is close to our lush gardens and main trailheads. The Spear Room is an affordable and functional meeting and classroom space. Located at our Maple Hill Farm it is close to the main trailheads and gardens and has access to a kitchen and rest rooms. (Capacity 30 people). The Brown Lane Barn is a smaller restored barn that makes a great meeting place for groups. 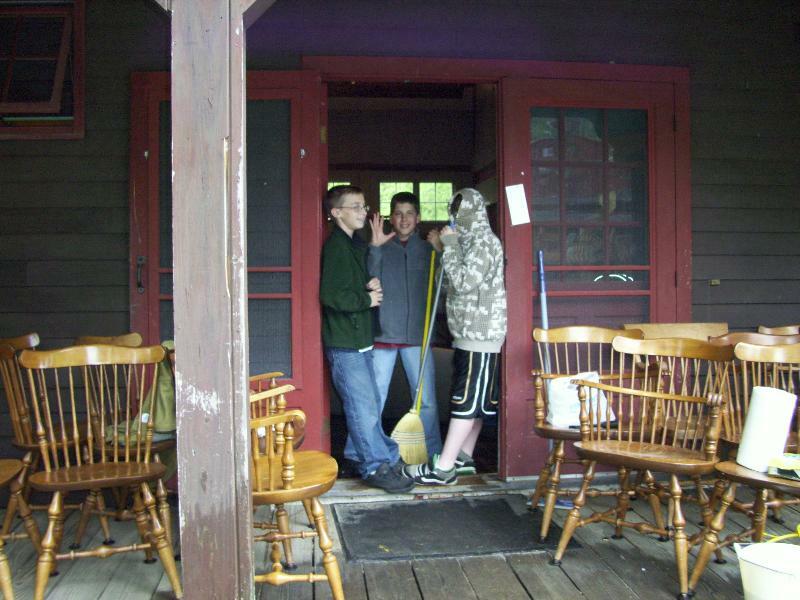 The barn holds 36 people and has a kitchen, restrooms plus immediate access to trails. It is set in a valley surrounded by open fields, pine forests, and a bird blind. Adjacent to the barn is one of Hollis’s oldest homes built in 1752! 36′ in diameter, this round building is a wonderful bright space for workshops. Located at Maple Hill Farm 117 Ridge Road. (Capacity 40 people). It is Beaver Brook’s policy to rent the campsite only to other nonprofit organizations. The use of the cabins should include an educational component. Beaver Brook will gladly suggest or supply programs. If interested, please call the office for program rates. We also have themed nature walks and nature appreciation hikes. If you can think of it, we should be able to accommodate it! Call us at (603) 465-7787 for more information or to arrange a tour of our facilities.